Here's a video that shows you how to prepare a superb cup of Costa Rican coffee using the traditional chorreador de cafe (a traditional Costa Rican coffee-making device). Worth checking out if you are interested in traditional Tico cuisine. 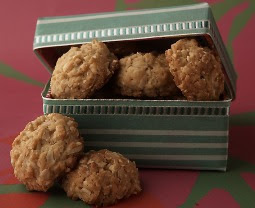 While browsing through the Food Network site I discovered a galletas Maria recipe. I had been looking for this recipe for quite some time so I of course decided to share it with you. These cookies are very popular in Costa Rica and even though are simple to prepare they are quite a treat. 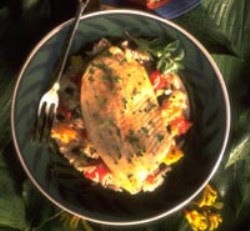 To learn how to prepare this traditional Costa Rican recipe and find out more about it click here. I had been looking for this recipe for a long time. 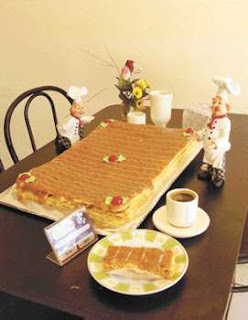 Torta Chilena is a very popular dessert here in Costa Rica and several other Central American countries even though the name indicates that its origins are South American. This recipe I found at a Web site called The Recipe Link. Recipe posted by a user that goes by the name of Gladys. If you come to Costa Rica make sure you go to a cafe/restaurant called Spoon and try a slice out. Mix the shortening, flour & salt. Add the water slowly until you obtain the dough. Let it rest for 10 minutes. When you are ready to roll the dough, beat the butter to soften it. When partially softened, work it in the flour and continue until butter is smooth & easy to spread but still cold. Lightly flour the dough & your hands. Form the dough into a rectangle. Fold the dough into three: fold the bottom third up to the middle; fold the top down to cover it (just as folding a business letter). Let the dough rest in the refrigerator for 30 minutes. Repeat this same process twice, including the resting periods. After the resting periods, unwrap the chilled dough & flour it sparingly top & bottom. Then roll the dough rapidly into a big rectangle. Divide the dough into three rectangles 18x12 each. Preheat the oven at 175C. Bake the rectangles in separate oven ready molds for 20 minutes each. Let them rest until room temperature & stuff them with dulce de leche (recipe here) between each of the rectangles. Decorate with powdered sugar over the torta. I hope you enjoy the delicious taste of this Cafe Britt original beverage. Add hot water and allow to brew for 3 min. In a separate container, mix the sugar with the cinnamon and espresso. 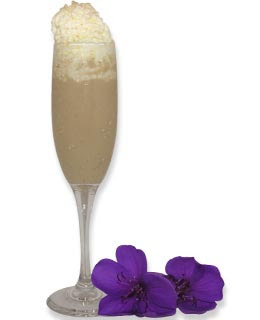 Then add the Café Britt Liqueur, cold milk, 3 ice cubes and serve. Here's a short Youtube video that shows you how people in Costa Rica prepare the tamales, but unfortunately it's in Spanish only, sorry for the inconvenience. This video should help you with the tamales recipes that I shared with you here and here. If I find a step-by-step video in English I promise I'll share it with you. A while ago, I shared with you a blackened tilapia recipe that I found on the Web site of Rain Forest Aquaculture. Well, here's another recipe that you may want to try. Tilapia is commonly consumed in Costa Rica and there are several companies that breed this fish solely for that purpose. Add Lemon juice, hot pepper sauce, and salt to softened butter and whip smooth. Place aside. Add oil to a saute pan and bring to medium-high heat. Dip each fillet in egg and saute for 2 minutes on each side. Place fillet on plate and top with 1 oz. Crabmeat. Finish with a dollop of lemon butter sauce. Place under broiler for 1 minute. 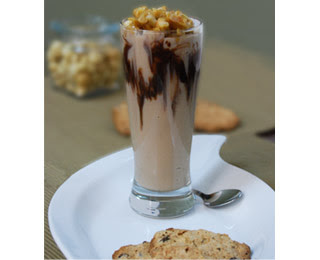 Enjoy the delicious taste of this Cafe Britt original beverage full of lively Espresso and condensed milk! 1/3 cup Café Britt Espresso coffee, brewed and hot. Dissolve the sugar in the Café Britt Espresso coffee. Let it cool. In another bowl, blend the condensed milk and coffee. Whip for 3 minutes and then add the whipped cream. Pour mixture into serving glasses. Freeze until firm (approximately 3 hours). Find more coffee recipes at Cafe Britt's Web site.